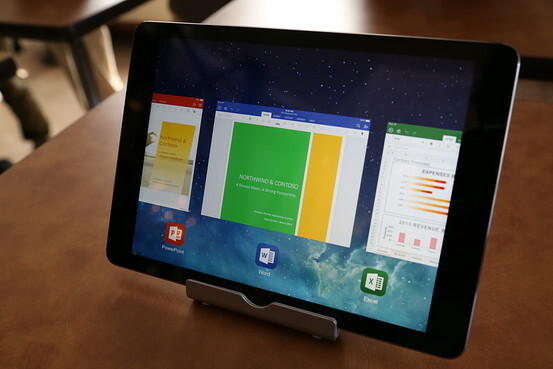 Just a few weeks ago, we informed you about the launch of Microsoft Office Suite for iPad users. Now, the Office Suite that includes Word, PowerPoint and Excel has just been introduced for the iPad users who can download the app for free from the Apple Store. This is a great move by Microsoft as company was losing millions of dollar every year by not allowing the Office app rights to the iPad users. Once the application has been downloaded, a subscription for Office 365 will then be required to edit the document and you can get the Home Premium edition for just $99.99. If you are a student, then you can get the application at a discounted rate by paying only $80 for University edition. Text re-flowing, formatting and plenty of other exciting features are also supported on the Office for iPad with own numeric keyboard for Excel. Julia White, the GM of Microsoft Office said, “This is definitely not the Windows app ported to the iPad” as the company updated the Office version for iPhone users. The home version of Office will be launched later this year which will be free of cost for the home use. According to the Bernstein Research analyst, Mark Moerdler, this is a profitable move for Microsoft that will allow the company to increase their revenues from $1.1to $1.5 billion annually if only 10% of the iPad users install the app which become the 15 million subscribers and the expectations are high that the number of subscribers will boost rapidly in the next coming years. On Thursday, the Microsoft chief Executive Satya Nadella unveiled the Office version for Ipad users by giving a 45 minutes presentation in which the emphasis has been made on Excel and its custom keyboard for character entry. As enterprise users rely heavily on Excel, this newer version has more capabilities than the Apple Numbers and also has the plenty of functions to carry out the task quite easily on the touch screen interface. However, users may not enjoy all of the features available on the desktop computers.